Of course there are some basic signs that you can recognise, even if you’re a novice, when it comes to motor mechanics. For example, if your car is suddenly taking too long to come to a complete stop, or you see a flashing brake light on your car’s dash. The modern-day cars almost exclusively use disc brakes. The system involved is hydraulic-based and filled with brake fluid. When we hit the brake pedal, it causes the brake pads to squeeze down on two clamps called calipers, which then press together onto the rotor of the brake. This causes friction and brings the car to a stop. This regular rubbing causes the brake pads to thin out over time, which is a sign of damaged brakes. To check the thickness of brake pads, spot the rotor from between the spokes of the wheel. Between the rotor and the clamps, you’ll find the brake pads. These should be roughly a quarter of an inch thick. If they’re thinner, it’s time to get them replaced. The rotor must be smooth; if it has bumps or a rough surface, it needs replacement as well. Keep an ear open for any strange or unfamiliar noises coming out from the car. If your car makes a strange noise each time you press the brake pedal, it can be any of a number of defects of the braking system. Take it as a warning sign. The most typical sound is that of a screech, which indicates worn out brake pedals. However, even though this sound will penetrate the closed windows, it might not successfully rise about the noise of your premium sound system. It is always better to keep the music volume low, not just for your ears’ sake but for your safety as well. While it is normal for the brake pedal in your anti-lock brakes to vibrate in the event of an emergency stop, if it happens as you moderately apply the brakes, it is a warning sign. Vibrations can occur when the rotor has completed its age and needs replacement. A spoiled rotor means an uneven surface for your brake pad to rub against, which causes the vibrations. Whenever this happens, it is time for you to visit a mechanic and get the rotor replaced. Deviation usually happens when one side of the brake gets out of order. 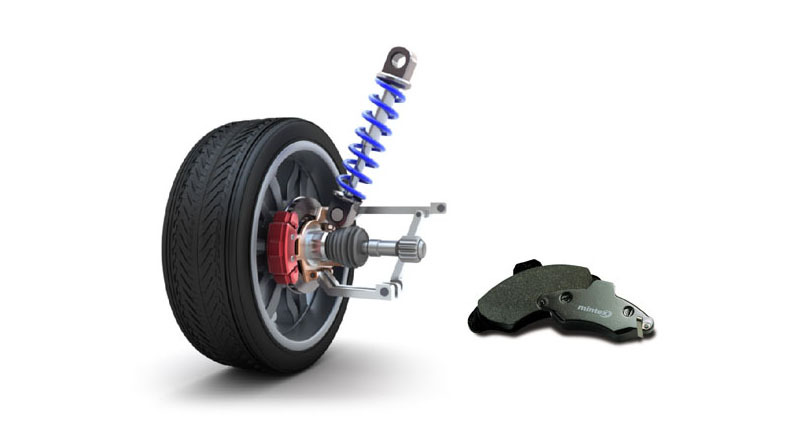 While the normally functioning brake stops its own tyre, the malfunctioned brake fails to stop the car quickly, which causes the car to get pulled in the direction of the defective brakes. Whenever you feel a pull upon applying a brake, it means the brakes on one side of your car are not functioning properly and need a check-up. However, pulling can be due to inadequate air pressure in the tyres too. So first, get the air pressures checked in all the tyres, and if this doesn’t sort out the pulling, it’s time to pay your mechanic a visit. These simple tips should alert you about malfunctioning brakes, before the issue in question causes any serious damage.